This week, we’ll discuss hand surgery with Dr. Amanda Dempsey of DeKalb Medical Physicians Group. 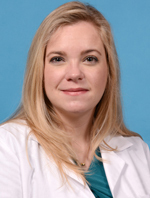 Dr. Amanda Dempsey joined our practice in September of 2015. She has specialty training in hand and microsurgery of the hand, wrist, forearm and elbow. Dr. Dempsey treats a variety of injuries and conditions of the hand and upper extremity including trauma, fractures, amputations, arthritis, peripheral nerve compression, as well as vascular conditions. Dr. Dempsey is a board eligible orthopaedic hand surgeon who recently completed a fellowship in hand and microvascular surgery at the world renowned Christine M. Kleinert Institute for Hand and Microsurgery in Louisville, KY. Prior to that, she completed her orthopaedic training at the University of Kentucky in Lexington, KY. She graduated from the Medical College of Georgia in 2009 and prior to that she earned a BS in microbiology with a minor in German from the University of Georgia. Dr. Dempsey has professional affiliations with the American Association for Orthopaedic Surgery, the American Society for Surgery of the Hand and the Ruth Jackson Orthopaedic Society. She is on the Diversity Committee within the American Society for Surgery of the Hand. Dr. Dempsey is an Atlanta native, and she was born at DeKalb Medical Center. She grew up in Stone Mountain and attended Chamblee High School with Dr. Huttmann. She is married and has a son and two dogs. In her spare time (of which there is very little) she enjoys spending time with her family, cooking, exercising and playing the violin.